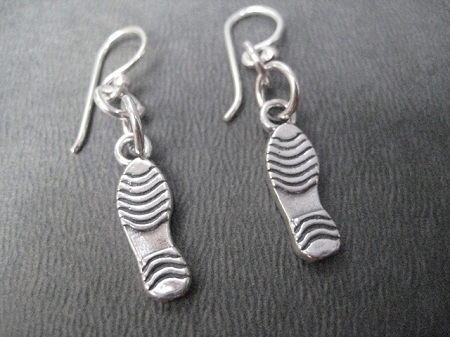 Our Sterling Silver SHOE PRINT Earrings on Sterling Silver wire is a great way to show your passion for the simple joy of running. If you run or you love a girl who does, then show it! Shout it out... I RUN! 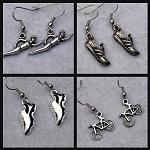 These lightweight earrings are made with 12 mm Sterling Silver French Ear Wire with a 2mm ball with your choice of a Sterling Silver RUNNING SHOE PRINT, a 13.1 SHOE PRINT or a 26.2 SHOE PRINT dangling from each ear wire.